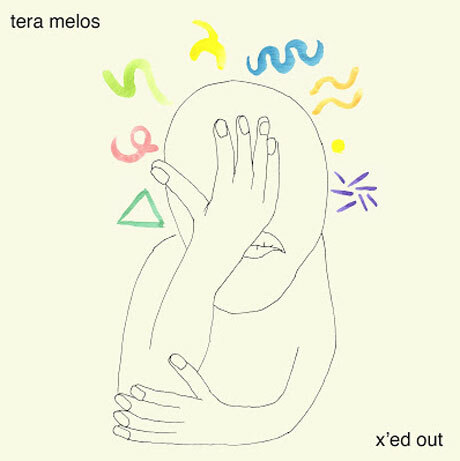 Sacramento eccentrics Tera Melos are set to drop their X'ed Out on April 16 through Sargent House, but you can now stream the band's new LP in full a little early courtesy of Exclaim.ca. As previously reported, the band's latest LP initially had them attempting to tone down their genre-jumping ways in favour of something a little more straightforward, but the group abandoned that idea once they started accumulating a complex batch of songs touting "psychedelic pop energy." "I'd initially wanted to make a really simple and minimal record," guitarist/vocalist Nick Reinhart said in a statement. "But our minds wander way too much, so when the songs came to life, they raged a little more than expected. In the process, it became clear that to move forward we needed to think less." On top of previously previewed fuzz-pop track "Tropic Lame," the album stream below contains highlights like the darkly melodic alt-rock pound of "New Chlorine," the galloping drum beats and guitar histrionics on abacus-clacker "Sunburn," and Reinhart's eerie croon on the evil, Jesus Lizard-meets-Battles sludge excursion "Slimed." As previously reported, Tera Melos will be heading out on a lengthy North American tour in support of the album. You can see all those dates here and listen to X'ed Out below.